, Palmer has doubled down on the dicey strategy, this time reminding voters of which parties allowed the changes to the Australian Electoral Act. 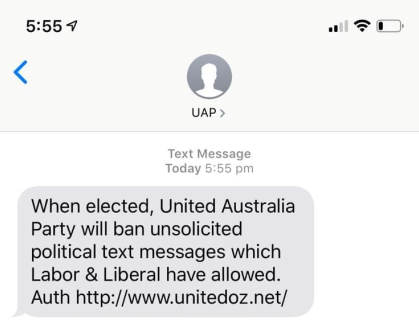 "When elected, United Australia Party will ban unsolicited text messages which Labor and Liberal have allowed," the message reads, taking a cheeky swipe at both major parties. 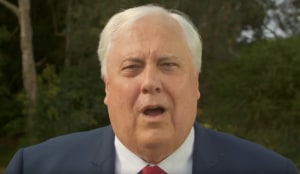 Over the course of the last weekend, Palmer's party raised concerns over the current state of political advertising laws when he sent out thousands of unsolicited texts to Australians, making various geo-targeted election promises. States such as NSW and Victoria were promised fast trains into their respective CBDs, while Tasmania was led to believe that it would receive a tax break should his party be elected. Earlier this week, the United Australia Party also told Fairfax that it would take further aggressive advertising strategies to secure federal seats, adding it will do "whatever is needed". 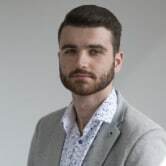 Australian mobile users, including three at AdNews, were left baffled after receiving unsolicited text messages spruiking the party and its plans for the nation. However, one message, received by one Sydney-based member of AdNews, incorrectly targeted them as inhabitants of the state of Victoria. With no unsubscribe option, the move by Palmer was completely legal, despite his party not reaching out to voters for permission prior. The advertising blitz has not only been limited to text messages, with print ads going out through both News Corp and Fairfax mastheads, as well as TV campaigns across the major networks. The mining magnate has also created his own 'Super Mario' side scroller video game, created by Emu War Games, which features Palmer collecting 'biscuits' while also battling current politicians. It also features thinly veiled swipes at News Corp and BuzzFeed, Rupert Murdoch as the grim reaper, Bill Shorten as a cockroach and Ray Hadley as an enemy. Palmer said in a statement the game is intended to be "light hearted". This is not the first time Palmer has caused a stir with his political advertising. In July last year, vandals repeatedly targeted the Australian businessman's 'Make Australia Great' billboards. Palmer is also locked in a legal stoush with American rock band Twisted Sister, which is pursuing legal action against the politician over his use of their song ‘We’re Not Gonna Take It’ in political campaign ads. United Australia Party leader Clive Palmer has continued to stir controversy with his latest round of unsolicited political advertising text messages. Following on from his original slew of campaign messages over the last week, Palmer has doubled down on the dicey strategy, this time reminding voters of which parties allowed the changes to the Australian Electoral Act.